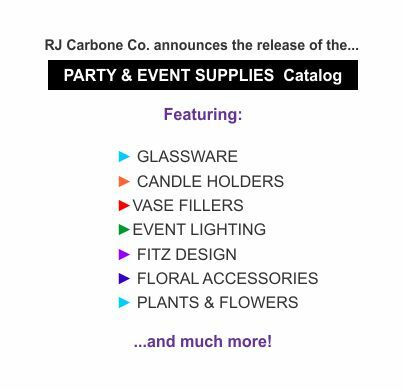 View floral items such as vases, candle holders, glassware, lighting, Fitz Design and more. 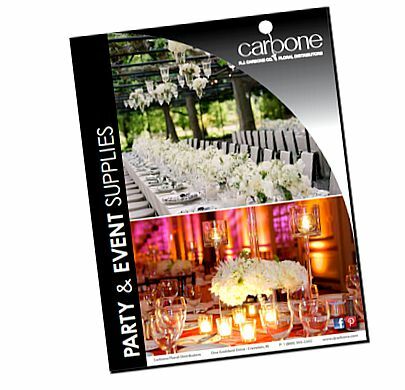 The RJ Carbone Company provides one-stop shopping for wedding professionals, special event designers, garden centers, supermarkets, retail florists, retailers of botanicals, fresh flowers, and giftwares. We offer quality decorative floral supplies from wedding accessories to basic essentials. For questions please call Stuart Cohen at 1(800) 343-2242 ext. 3212. If you have problems viewing the catalog, please cick here to download.